The electricity went out yesterday, late afternoon, on our island with noisy gusts of wind. It was a lovely evening of conversations. 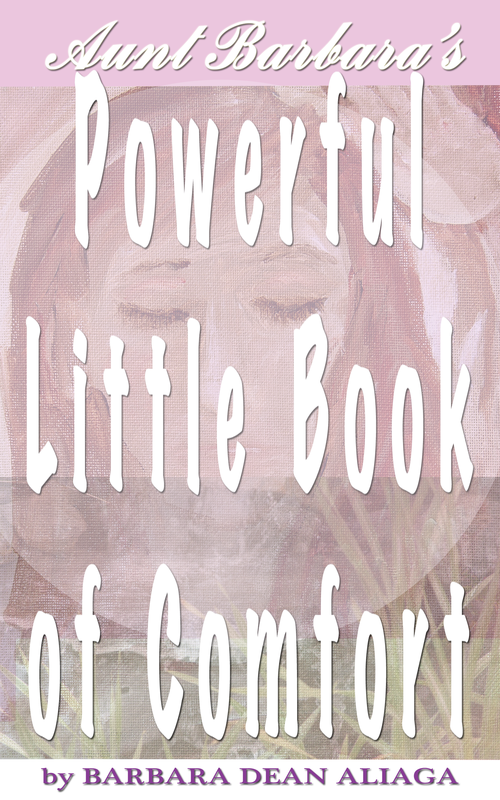 Now, I am happy to announce that “Aunt Barbara’s Powerful Little Book of Comfort” is available on smashwords.com and soon to be available on iTunes, Barnes and Noble, Sony and more eBook outlets. This book was inspired by the experience of losing my loving sister-in-law earlier this year. Her sudden death left us all deeply shaken. Devastation can come to those who have experienced a sudden detachment from the people, places and things so interwoven with their personal identity that it is hard to distinguish self from the lost person, place or thing. This book is written for those who have lost a loved one in death, in divorce or separation; those who have left home to go off to college or left their family and moved to a new location far away; those who have lost their homes, companies or jobs. I hope this little book will be used as a coaching workbook in this difficult transition. You can download a sample or purchase this book through Smashwords.com today. The woman on the cover is from an original and is called, “Growing Pains”. Prints of it are available on www.art.com.